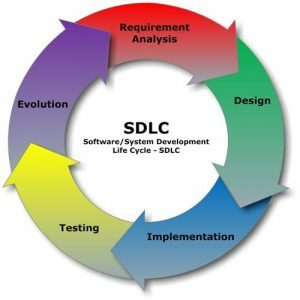 Looking for Custom Software Development? You are at the right place. Developing the customized software is an important part of your business and becomes necessary to establish a strong infrastructure. Nowadays, users prefer to search the web for each single need and thus the website should be displayed on the search ensuring a better visibility. Custom Software Development is a kind of building software, which is very specific in a particular work and more importantly, it is very specific to the person who is using it. It is a general way to use the products according to the requirements. When it comes to getting excellent and world class custom software development solutions one needs to be pretty sure about the company to which the work has been assigned. If you are looking for custom software development then your quest ends here with Supro Infotech, a custom software development company, which provides the effective services that are useful to enhance the overall recognition of your business. Our efficient team of developers offers an amazing development experience for you in terms of Custom Software Development. We at Supro Infotech offer highly professional services and that too at affordable cost. Firstly, our software is totally secured from outsiders and provides good security. Secondly, our programmers develop custom software which is very adaptable to different conditions and hence the flexibility of our device increases. Thirdly, Supro Infotech provides different other software and packages along with custom software, free of cost. For more information regarding the features and benefits of our software, you can visit our official website as well. While offering all these services, we always make sure that latest tools and techniques are used. Moreover, we consistently upgrade our technical knowledge and software modules. We consider this necessary so that the solutions delivered by us stay intact for a longer period of time. We always believe in delivering the best services so that you can have more and more customers for your business. In addition, we always make sure that our clients also get a fair chance to give valuable inputs. Our in-house team is capable enough in providing the suitable custom software development solution that maintains the positive approaches for your enterprise. It would help the users to identify the real consumers taking the business to a new level. We provide different kinds of custom software which are used in different fields like. Firstly, in different stores and shops, it finds its use in the billing centers. Secondly, it is used in different schools, where it is used for admission purposes. Thirdly, it finds its application in the intelligence bureau, where people need to perform specific works which are secret. We have well trained employees working and giving the best performance. Supro Infotech provides both outsourcing and in sourcing work for developing custom software. Finally, a business would be able to establish the unique identity in the competitive market with the enormous number of consumers. Therefore, the entire universe gets connected with the global business outlook that helps the business persons as well as the users. Good software created with the essential business inputs can be the most important feature helping the enterprise to go ahead. Our prime and ultimate objective is to make the customers feel happy with our comprehensive services that even come out with the smarter options. For any queries or requirements, we are just a call away or Email us now! We would love to hear from you and offer you the best quote from our end. Looking for Custom Software Developer?